There’s something about spring that makes me want to photograph every living plant in sight. Does anyone else feel this compulsion?? Spring produce is just so beautiful and vibrant that it almost demands to be captured on film. 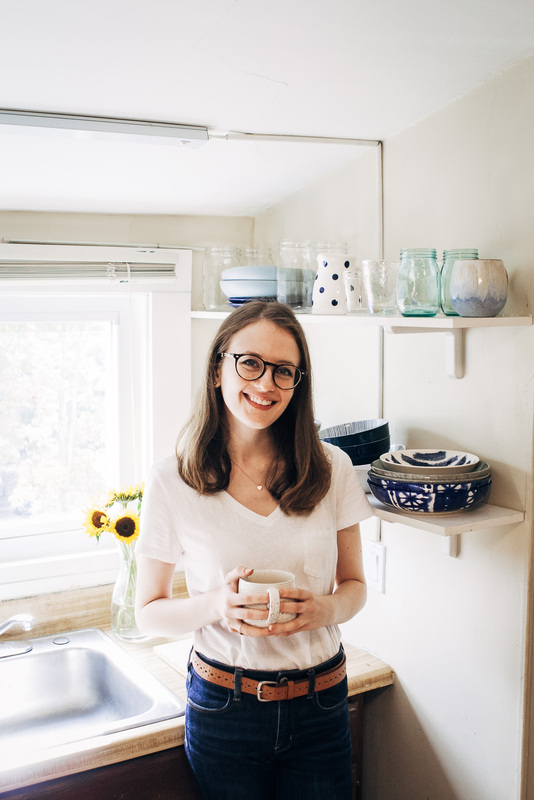 And not just the produce, the trees and the wild plants and the underbrush, too. I went on a hike last weekend, and had a blast photographing the little brooks and streams in the forest. But I’ll have a lot more opportunities to take photos of nature this year because we’re really revving up for Hiking/Camping Season 2016. I went camping and hiking a bunch when I was younger, but as a teenager wouldn’t dream of having to share a tent with my parents (totally uncool). Lol. But hiking and pond-swimming have always been my jam (I know all the best spots around here), and now I’m really excited that I get to share this with my similarly-outdoorsy friends. Especially the pond-swimming part…. I can’t wait!! 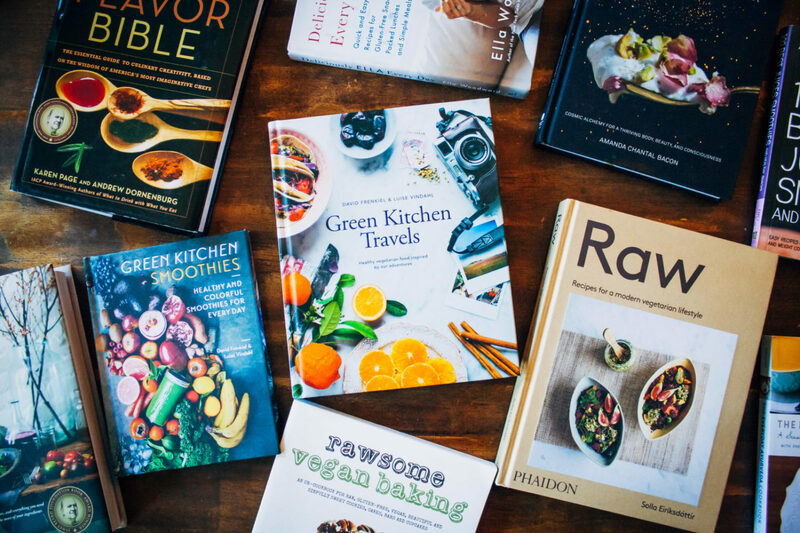 Today’s recipe is all about hiking, or gardening, or dandelions – whatever makes you feel grateful for spring. 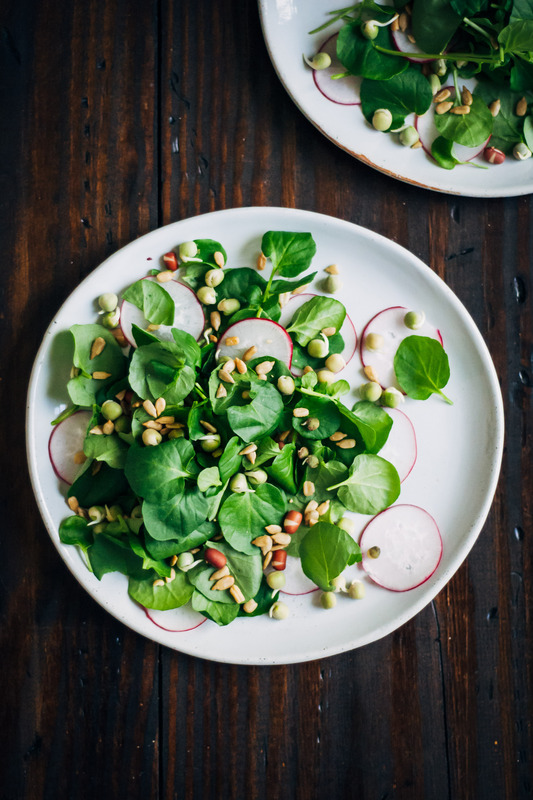 This salad is super fresh and peppery, and honestly tastes like spring on a plate (or bowl). The recipe itself is very free-form… just take as much as you like of each ingredient and toss it with as much of the mustardy spring onion dressing as you like. 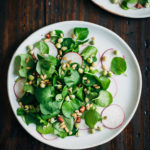 This spring gratitude salad tastes like spring in bowl, with fresh watercress and radishes, topped with a tangy mustard and spring onion dressing. To make the vinaigrette, combine all ingredients into the blender, and blend on high until smooth and creamy. 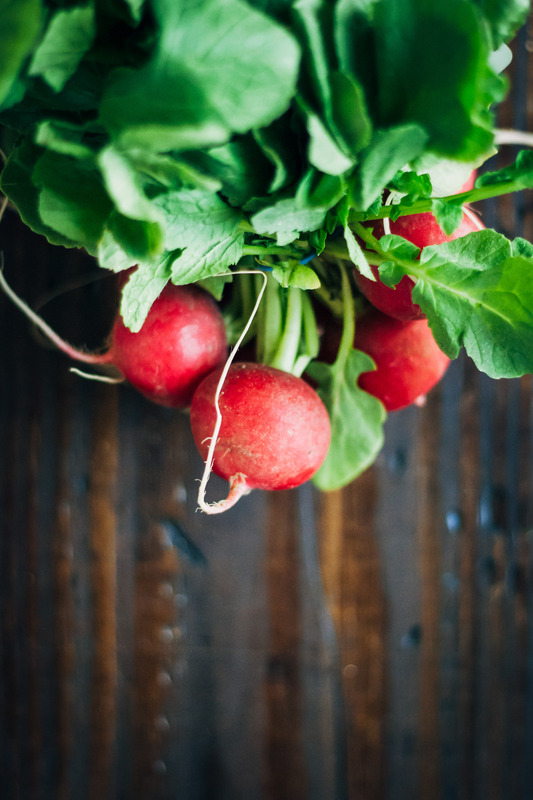 Prep the radishes by slicing thinly on a mandolin or by hand (but be careful!). 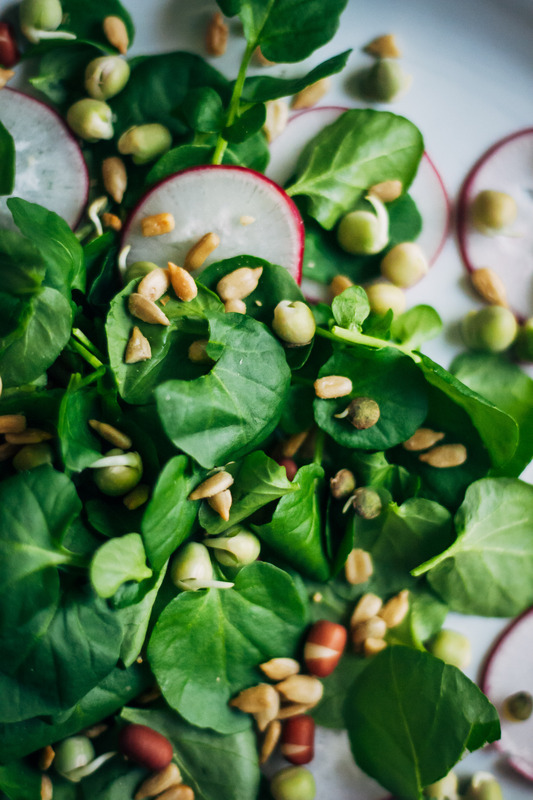 To make the salad, assemble your plates/bowls with a layer of watercress, then another layer with the radishes, sprouts, and sunflower seeds. Drizzle everything with the as much vinaigrette as you like, and serve. Beautiful! 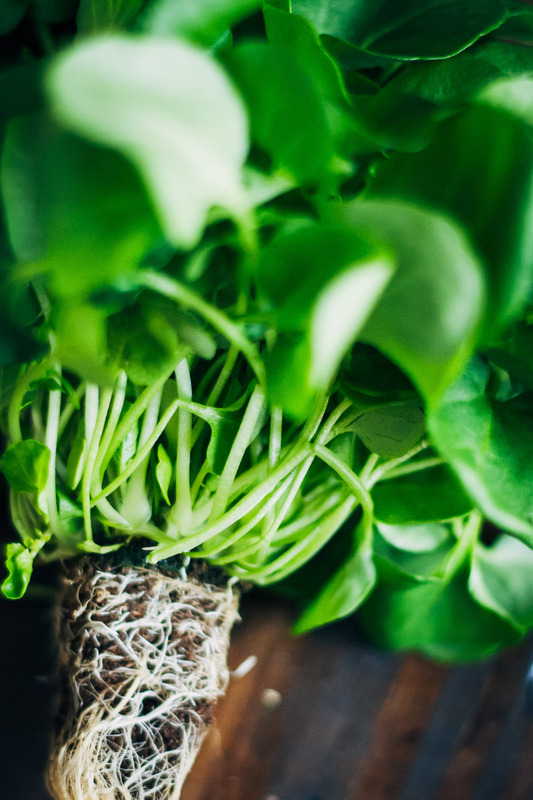 I love watercress and need to go see if I can find some this week at the grocery! I am so stoked for camping and pond swimming season as well! It takes a little while to get out of the city for me plus some hours of driving, but it is so so worth it :) This salad looks fresh and delicious, exactly what I think of when the weather starts to change! 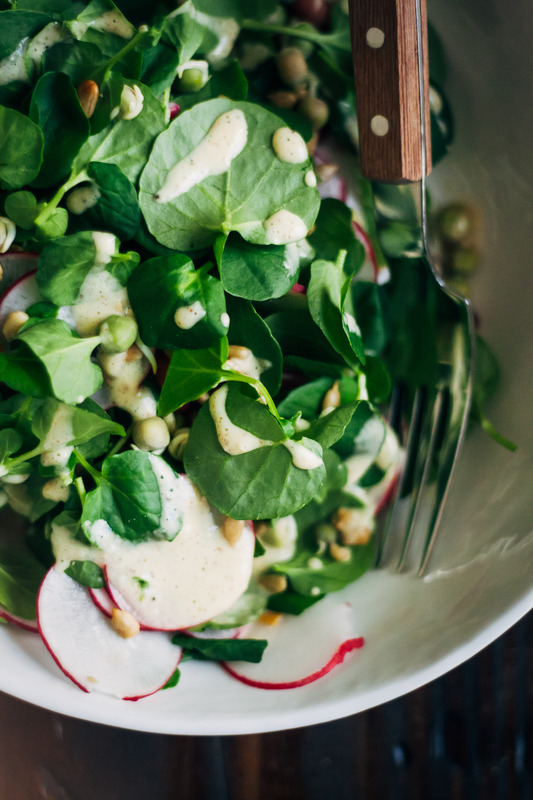 Bring on all the beautiful spring produce close ups, I could stare at these gorgeous photos all day <3 I am loving the light freshness of this salad, and mustard dressings are always my favorite! 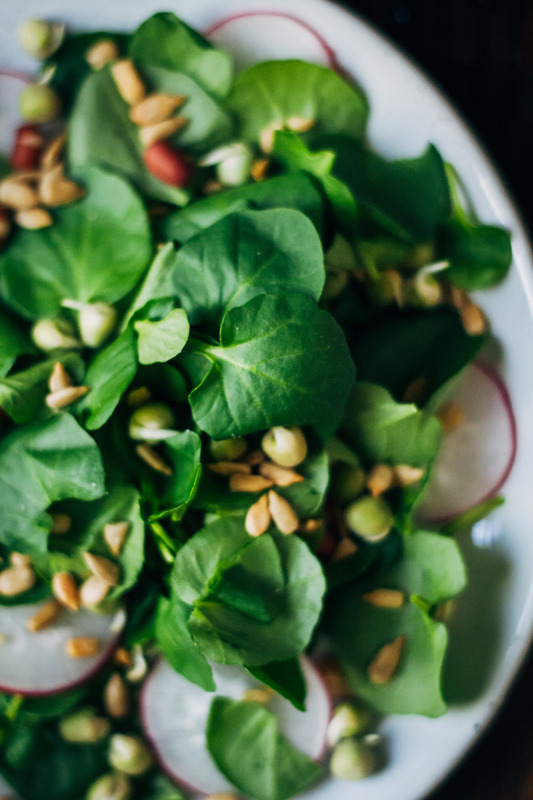 wow, that watercress looks incredible! my boyfriend bought some the other day and… it definitely did not look like this hahah. this salad looks so fresh! It was hydroponic watercress that I found at Whole Foods :) Thanks girl!! Lovely photos – definitely captures some great spring vibes! I’m sure the radishes and watercress add that extra crunch. Looks absolutely delicious! Definitely not too photo heavy :) gorgeous pics! Wow – this looks absolutely beautiful. Bring on Spring! We’re two kindred spirits :) I feel most at peace in the deep forest too.